Techcruze is a website completely dedicated to all the gadgets lovers . If you are passionate about gadgets . Then write for us . 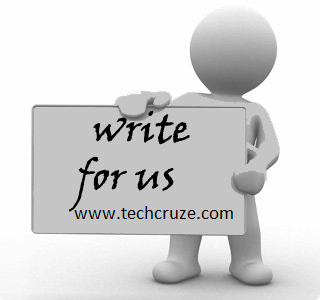 Contribute your precious time in blogging with Techcruze . We want writers which makes the readers to think about the reality of gadgets . How real it is ? . The writers must write in his / her own language . Copying language from Internet or any other website is strictly prohibited for Techcruze . This is the only platform where you can express yourself . Don't hesitate by thinking that others write better than you . Everyone commits mistake first time. Just give your best . When you are mailing me kindly give the subject as "techcruze contribution"